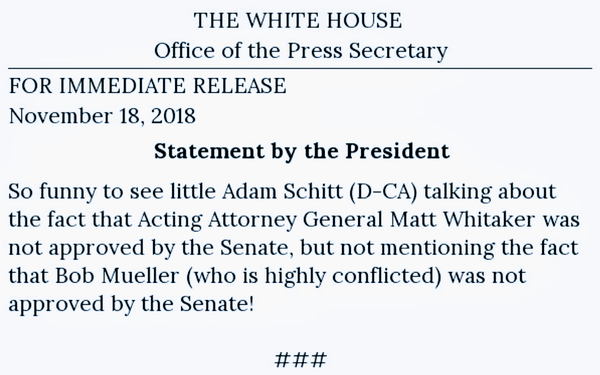 What’s that you say, “No Schitt?” Yes, I know I’m stating the obvious here, but I’d still like to make the case why one of the most destructive forces of this presidency is not its stated goal: “the deconstruction of the administrative state.” It is the deconstruction of our social fabric. As the head of America’s executive branch, the President is more than just a boss. Like the CEO of a corporation, he or she is the figurehead that most defines its reputation. And as anyone on Madison Avenue knows, reputations matter. They impact a brand’s equity, and an organization’s bottom line, influencing whether others will do business with or even remain loyal to you. It may be impossible to quantify the impact our current POTUS has had on America’s brand equity, but an interesting analysis released earlier this week by agency MBLM suggests it is material. 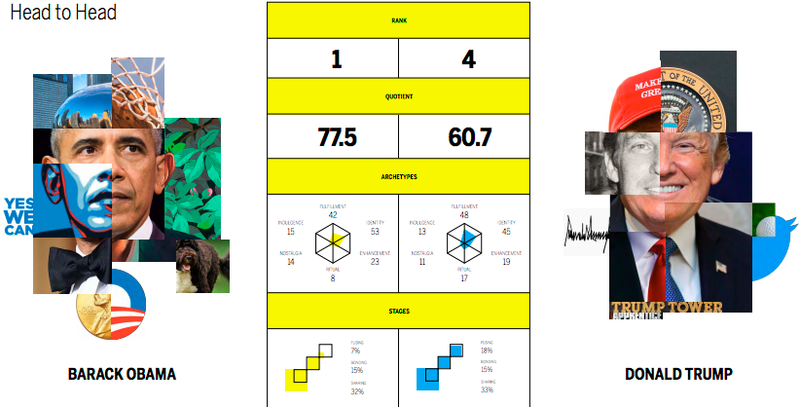 The agency, which conducts a periodic study measuring and ranking the “intimacy” of top brands, conducted a special edition benchmarking “famous figures,” including current and past POTUS’. You can read the report and its methodology here, but the top line is that former POTUS Barack Obama dominates the index, followed closely by his former First Lady, Michelle Obama. Actor Tom Hanks ranks third, followed by our current POTUS. Clearly, the current President’s brand plays to a significant percentage of the population. I’m not debating that, although I’d like to question why. My real point is why it contributes to the decay of our social fabric in a way that is more damaging than his legislative and policy agenda. Laws can be amended and policies can be changed. Social values can change too, but generally speaking, they have been moving in a downward direction. With this POTUS as a “role model,” I think that it's being accelerated. Some years ago, when we both were media reporters at Advertising Age, Scott Donaton shared a startling epiphany with me. He said he had noticed a change in prime-time network TV sitcoms in which the children characters were depicted as talking back to adults, often their parents, and using more potty-mouth language. Scott said he thought this was contributing to a shift in the respect new generations had not just for adults, but for our institutions. I think Scott, who is now Global Chief Creative and Content Officer at Digitas, was right. And I got to experience this vicariously through my wife, a public middle-school teacher. She has also observed a marked downward shift in the respect adolescents have not just for their elders, but for institutions like schools. For the past couple of years, I’ve asked her what the impact of having a role model like our current POTUS has had on her students. It’s anecdotal, of course, but she says the decay has accelerated. I’m not sure who benefits from this, but I’m pretty sure it’s not making America greater. 3 comments about "America Has A Bad Case Of Potus Mouth". Douglas Ferguson from College of Charleston, November 21, 2018 at 1:16 p.m. I guess you would agree with Biden's live-mike words to Obama at the signing of the Affordable Healthcare Act: "This is a big [bleep]ing deal." Joe Mandese from MediaPost, November 21, 2018 at 2:02 p.m.
@Douglas Ferguson: false equivalency and bad case of whataboutism. There's a big difference between a POTUS intentionally using a loudspeaker like Twitter to use profanity, sexist and racist comments, and one who unintentionally let's some real language fly. Beto is a better example, but contextually he was using it as a statement of respect, vs. the current bull-schitter-in-chief, who uses it to disrespect, and dishonor the office and the people who elected him. Paula Lynn from Who Else Unlimited, November 22, 2018 at 9:37 a.m. There you go again, Joe, using logic and reason. It doesn't work in this case. Bannon, although not physically in the WH is still a big influence and big friend. He said he is a Stalinist and wants to chop up the US into little pieces. With the help of Miller and fux news, Putin must be grinning ear to ear. Destruction of our country won't come with a big bomb, but sliced away bit by bit on every side, internally and externally. Those who support him and his minions are complicit. The cost will be death in the millions.